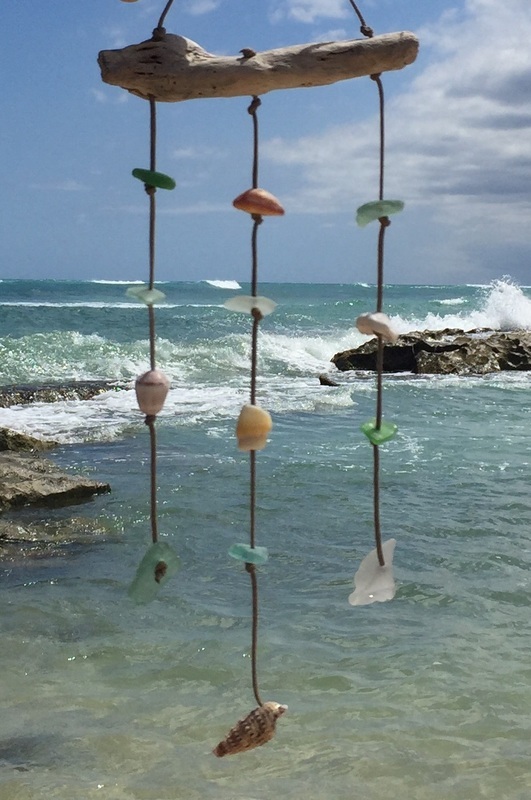 Bring the beach home with these one-of-a-kind, mobiles made with genuine found sea glass, shells and driftwood from the Northshore of Oahu. 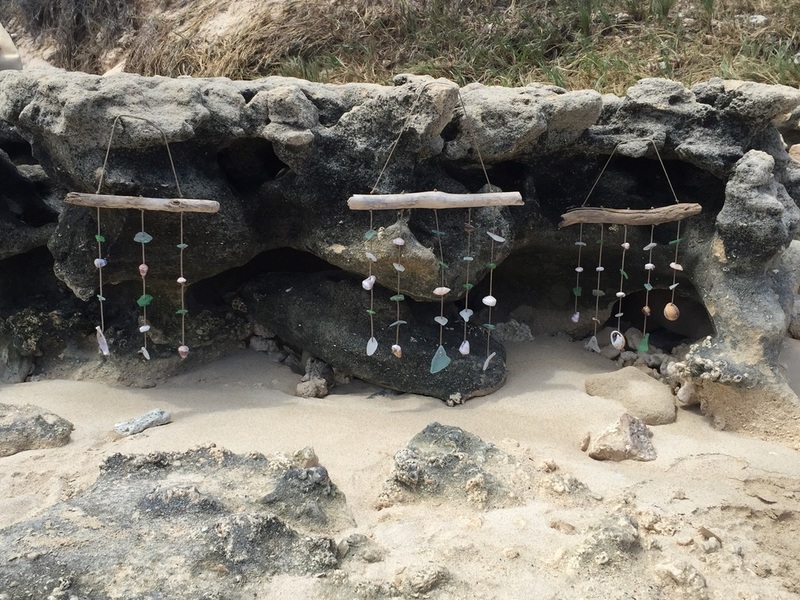 Sea glass wind chimes. often referred to as Mermaid's tears, create a soothing sound in the gentle breeze. The creation of each one begins with a leisurely walk on the beach looking for the perfect wave etched glass and beautiful shells. Available in small (3 strands) and large (5 strands). Made in Hawaii.